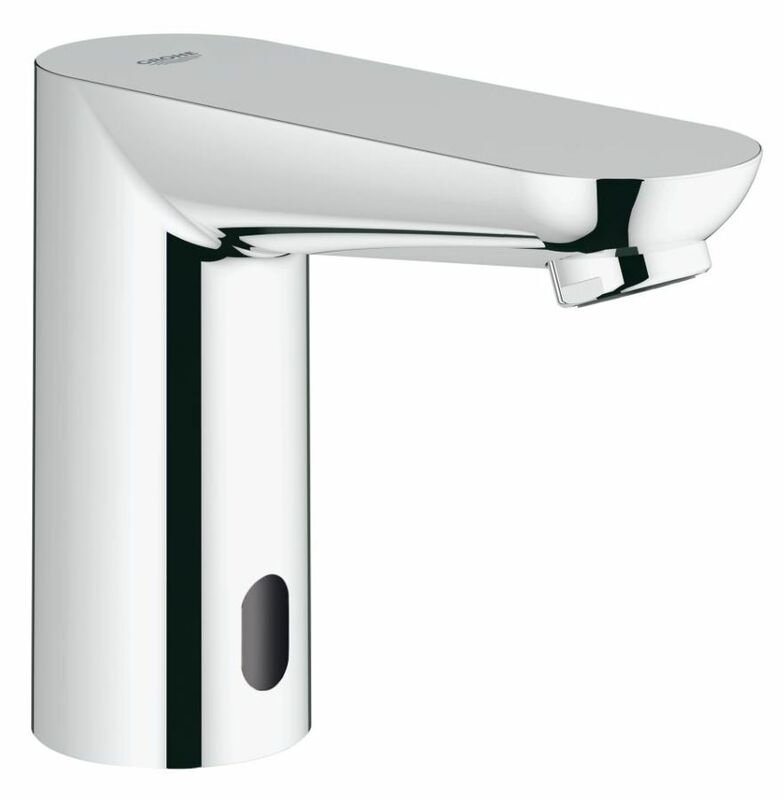 The hands-free design of the ultra-modern Grohe Euroeco Cosmopolitan E Infra-red Electronic Basin Tap makes it a germ-free way to ensure your hands are as clean as possible. 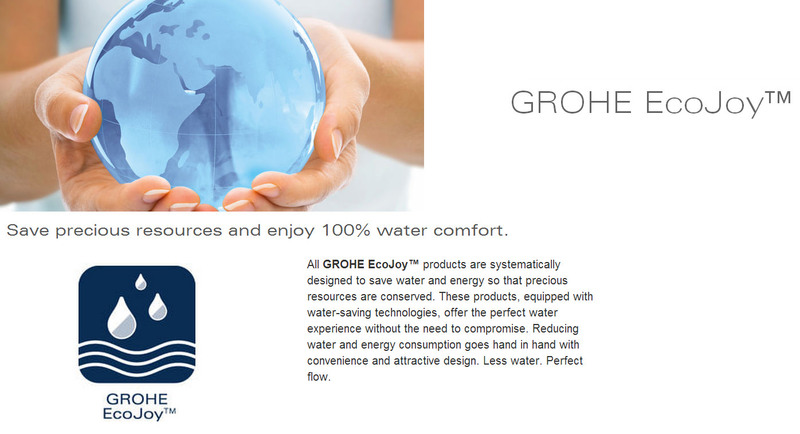 The product comes with an infrared sensor that will activate the water when it senses your hands near it. 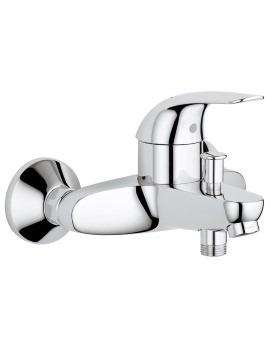 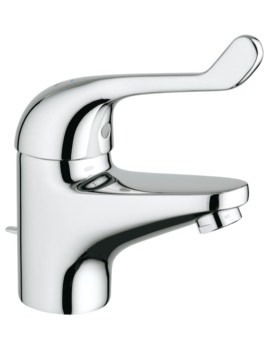 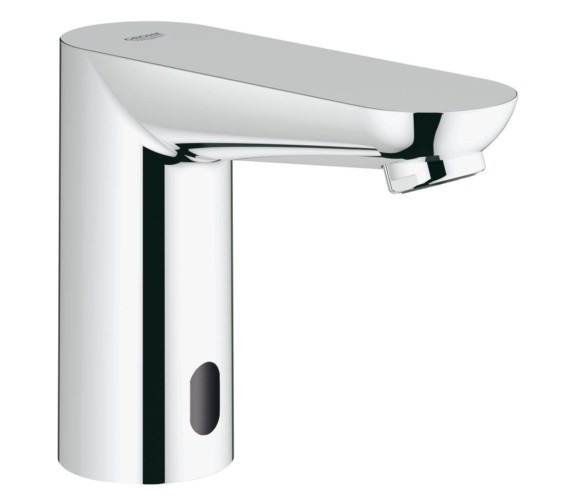 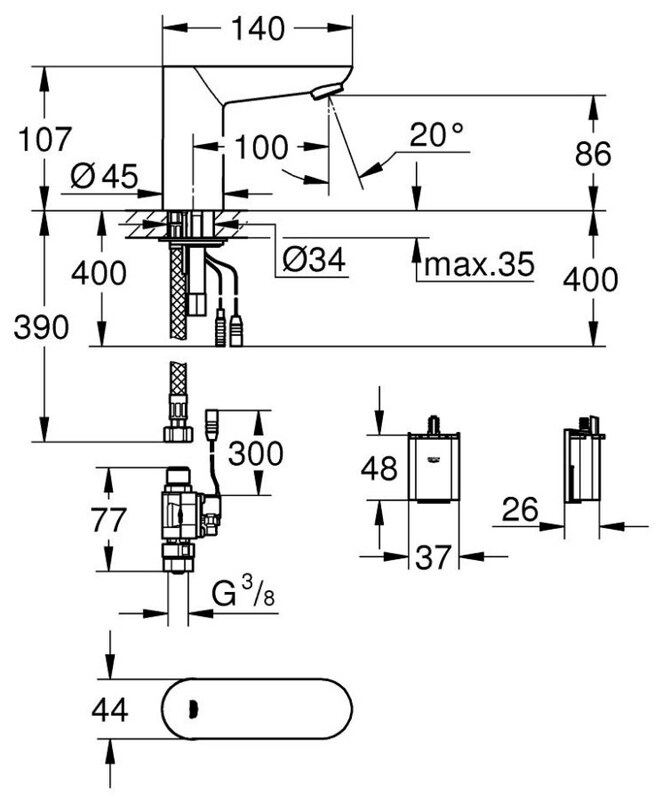 The tap measures a total size of 44 millimetres in width by 140 millimetres in depth by 107 millimetres in height with a centre of inlet to centre of outlet measurement of 100 millimetres. 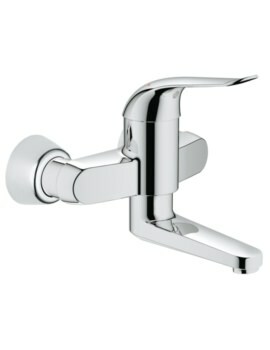 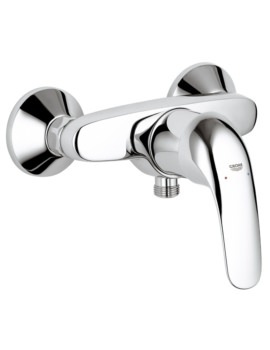 It has been given a chrome finish and has seven preset functions for you to choose from.